Brilliant, cost-effective, fine art inkjet photo printing to A2 and beyond on our amazing Canon imagePROGRAF wide format printers. We can supply large borderless and bordered fine art photo prints up to A2 (594 x 420mm) from your scans or digital files and highest quality panorama prints up to 2 metres wide. 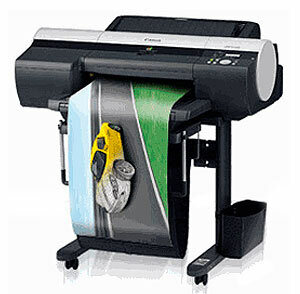 These printers run 12 ink tanks and produce borderless full-colour printing at 2400 x 1200 dpi. Canon's Lucia pigmented ink system has a print life of over 50 years according to research. Given a good full-toned original, the results from these printers are superb. If you need volume photo printing from your scans at smaller sizes, then frankly, you'd be better off taking your digital images to a photo kiosk, but if you are scanning with us or need limited quantities of fine art prints at a very competitive price, then use us! We offer a range of paper stocks, including 285gsm gloss, satin or matte, plus textured art, polar metallic and cotton canvas. Other papers are available to special order. Pricing - Fine Art Photo Printing On your choice of imported US-made premium gloss, matte, polar metallic, natural textured art or cotton canvas using genuine Canon Lucia inks. Includes pre-inspection, blemish removal and colour balancing from your TIF, JPG or PSD digital files. Prices are per print ex-GST. Please call us on 0800 474748 for pricing on panorama prints, mounting, framing or other specialist requirements. Simply use our online Order Form. You can email us your digital files, use a Drop Box, upload them direct to our FTP site or simply bring them round. Please call us on 0800 474748 if you need assistance.